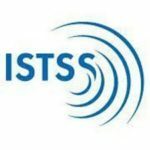 Japanese Society for Traumatic Stress Studies (JSTSS) is a professional membership organization devoted to advancement of understanding of traumatic stress and treatment of the affected people, through exchange of scientific knowledge and clinical experience. JSTSS is comprised of various professionals undertaking trauma research, treatment, and support. AsianSTSS was founded in 2005 as a fully incorporated limited company registered in Hong Kong for professionals to share information about the effects of trauma. AsianSTSS was officially approved by the Inland Revenue Department to be a charitable organization with effect from 24 October 2012. Bienvenidos y bienvenidas a la pagina web del Dr. Israel Castillo consultor en materia de atención psicológica a víctimas de sucesos traumáticos. The Canadian Psychological Association, or the CPA, is the national professional association of psychologists and counts students, researchers and health care providers among its membership of over 7,000.